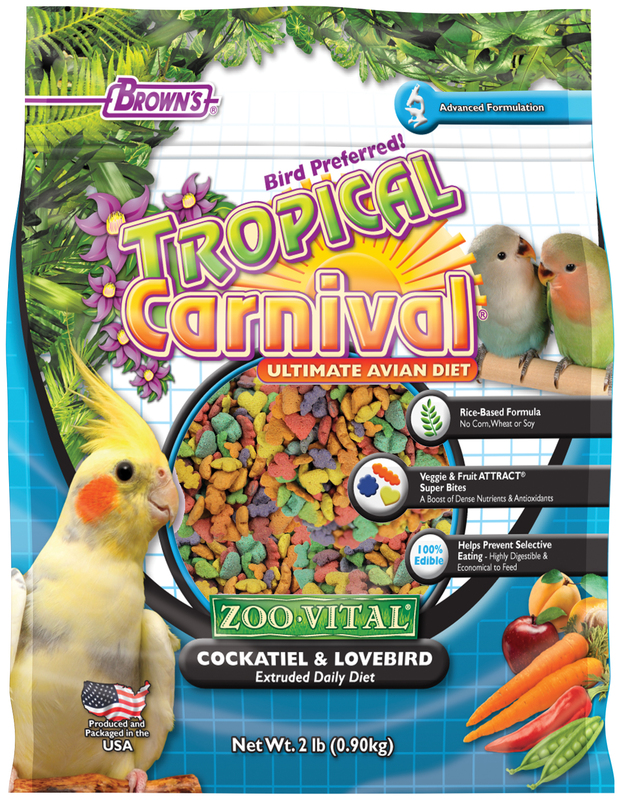 Brown's® Tropical Carnival® ZOO•VITAL® Cockatiel & Lovebird advanced extruded daily diet provides superior, healthy nutrition in every bite. Seed based diets allow birds to be selective eaters and miss out on key nutrients. Since 100% of each pellet is edible food, birds receive all the nutrition from each pellet consumed. The extrusion process used to create the pellet helps control unwanted contaminants that may be found in raw seeds, grains, fruits and vegetables. 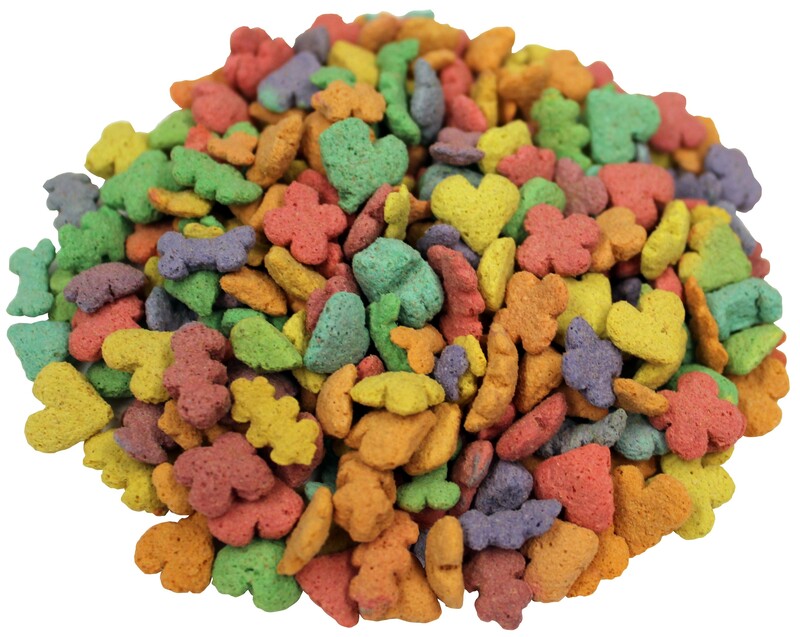 Tropical Carnival® ZOO•VITAL® Ultimate Avian Diet was designed with a variety of colors, shapes, textures, tastes and a sweet aroma to attract birds to the food while making feeding time fun, enticing and exciting. The ergonomic shapes are easy to hold and eat; stimulating the natural foraging instinct while helping to relieve cage boredom. A probiotic and prebiotic are added to support healthy digestion. 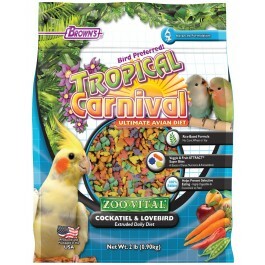 Feed your pet birds Tropical Carnival® ZOO•VITAL® Ultimate Avian Diet. Even the most finicky birds will find it simply irresistible. It’s super nutritious too!